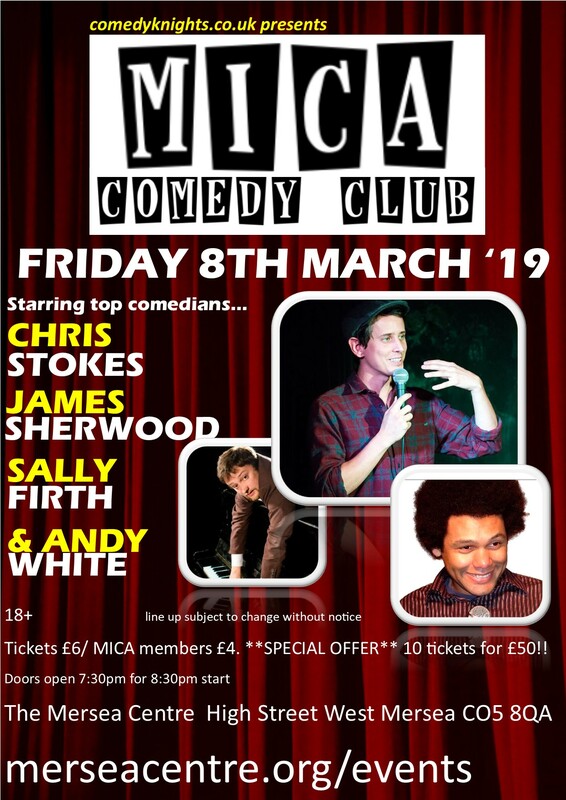 MICA Comedy club returns with a line up even bigger and better than before!! MC for the evening is Andy White. Andy is a Brummie who escaped from a call centre to become a stand up comic. He combines silly voices and a mad afro to devestating comic effect. Andy's humour embraces silly voices, funny faces, observational humour, topical humour and his mixed race background. He can do material that's clever, cheeky, sick or just silly. His performance can shift from deadpan to loud and physical. "Who The Hell Am I? I was a comedian, then a van driver and now I'm a comedian again. I have recently supported Milton Jones on his UK tour 'Milton Jones is Out There' and his previous tour 'Milton Jones and the Temple of Daft'. I have also cropped up on BBC Three, Dave and a bit on Radios 4 and 5Live and you can have a squint at where I'll be gigging on my 'Gigs' page. In addition, I have taken 5 solo shows up to the Edinburgh Fringe - the first of which won Best Show at the Dave's Leicester Comedy Festival Awards in 2012 (you can hear a bootleggy audio recording of this show on the 'MEDIA' page, where recordings of some of my other shows will be in due course) and the most recent of which, "We Don't Need Roads" has just finished a run at Edinburgh. "Imaginative musical jokes and beautifully crafted original comedy songs…The material he offers is fresh, contemporary and pin-sharp original."